Within this year’s major blockbusters there seems to be at least a small theme of damage control. The likes of Batman V Superman and Captain America: Civil War have had their plots propelled from the outset by a need to atone for past destructive sins, and others, such as X-Men: Apocalypse, Doctor Strange and more recently Fantastic Beasts and Where To Find Them have at least made an effort to rectify the destruction wrought within their time-scales. This is fine, I’ve got no problem with it at all, but when I came home from seeing Arrival the other week and I saw my partner had made the mistake of renting X-Men: Apocalypse it got me thinking of the final scene, [mild spoilers, but not really if you’ve seen Days of Future Past] which sees Jean Grey (Sophie Turner) and Magneto (Michael Fassbender) rebuilding the mansion after it was destroyed in an explosion. 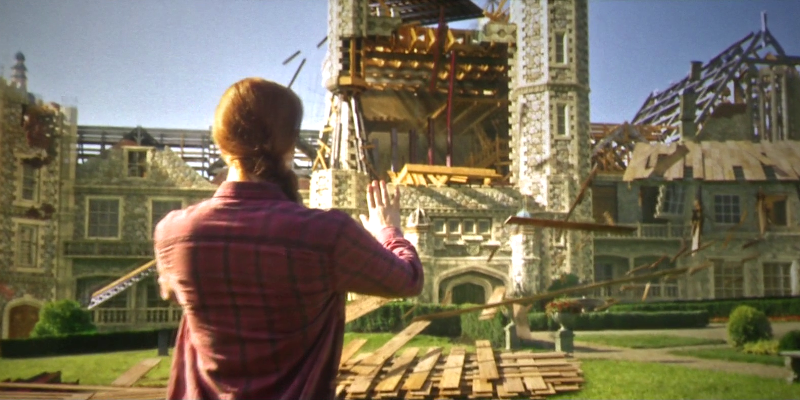 Visually it’s a cool-looking scene, but from an engineering perspective it makes zero sense as the two mutants use their powers of telekinesis and magnetism to rebuild a structure as though it were made of Lego bricks, instead of actual mechanically bonded components. There are bricks that are just placed on top of one another with seemingly no concern for any kind of cement between them. Similarly metal structures are erected but not welded together, as I’m fairly certain that’s outside of the power-range of either of these mutants. At this point a mild bout of rough-housing between two of the smaller students, one being knocked into a wall by the other, will cause the majority of the building to collapse. Hell some areas probably wouldn’t stand up to a strong wind. So yes, whilst it’s good that film franchises are taking it upon themselves to not abandon their wanton destruction of the world, they should at least attempt to rebuild them using registered and recommended contractors instead of making piss-poor attempts to do it themselves. A Spielberg movie! Hurrah! This is definitely amongst his lesser, more child-friendly work, but I didn’t hate it. Expect a full review at some time in the future, which will definitely mention farting corgis. 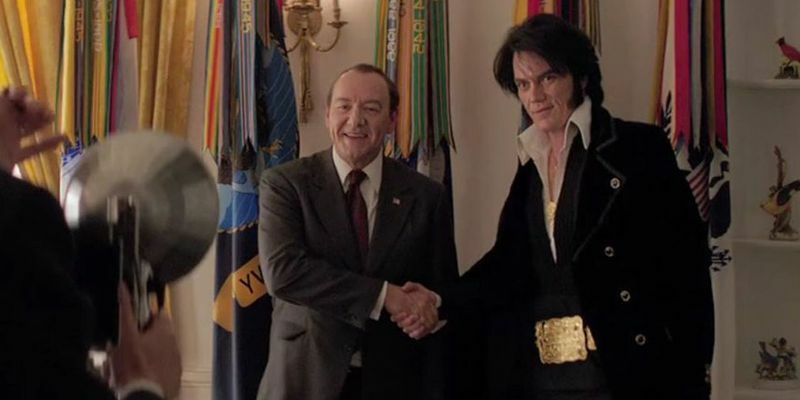 I’ve said it before, I’ll watch Michael Shannon in anything, even something in which he plays Elvis, meeting Nixon (Kevin Spacey) in a film almost entirely devoid of plot or purpose. There’s a photo of Elvis and Nixon shaking hands that’s fairly famous, and this film tells what might be the story behind it, which seems to think it’s too fantastical to believe, but winds up being silly enough to be true. Elvis wants to be made an undercover agent (at large) to aid the war on drugs, and Nixon’s staff (including Evan Peters, Colin Hanks and Tate Donovan) agree that the meeting might increase the President’s ratings amongst the young people and the entirety of the South. I’d hoped we’d see a little bit of setting the meeting up, and then see the whole encounter in real time between these two great actors inside the Oval Office, but I think they don’t actually meet until almost an hour into this 82 minute film, with way too much time spent circumventing the red tape that we, the audience, know for sure will be eventually avoided. Also, too much focus was given to Elvis’ put-upon best friend, played by Alex Pettyfer, and his romantic woes back home. I never cared for him or his problems. Johnny Knoxville was fun, as were the various interactions between Shannon’s Elvis and members of the general public, which brings me to the main reason I’d recommend watching the film: Michael Shannon. Being a fan of the man I’m somewhat biased, but I found him a joy to watch, playing a side to Elvis I’d never seen before (granted I’ve never seen any side to Elvis before), really playing up his deluded, detached attitude. Spacey is fine as Nixon, and it amused me as to how little work went into making the two actors resemble the stars, as aside from Elvis’ hair and Nixon’s hunch, it’s really just Shannon and Spacey. It’s not a great film, not by a long shot, but the actors are all having fun, so you could do worse, and at less than an hour and a half it won’t waste much of your time. Lambcast #349 Fantastic Beasts and Where To Find Them: I was joined by Mario Brown, Kristen Lopez, Tony Cogan and Bubbawheat to discuss the Harry Potter spin-off prequel, and the best way to describe the landscape of Arizona. 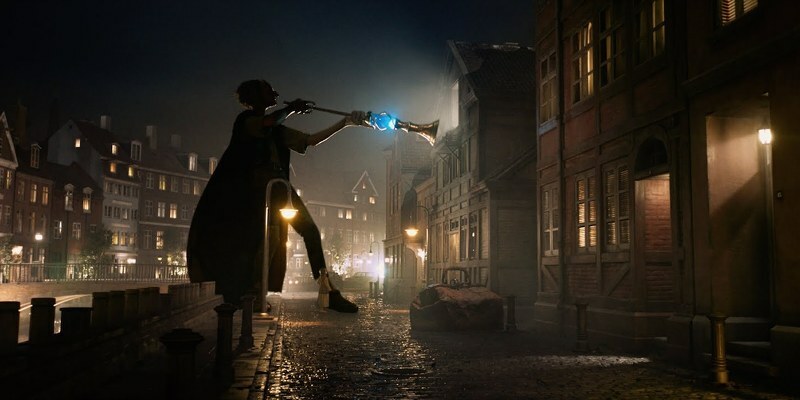 This entry was posted in My Week in Movies and tagged Elvis & Nixon, The BFG by jaycluitt. Bookmark the permalink.